The Trump Administration’s policies are likely to impact legal immigration applications for H-1B visas, family-based visas, and other types of visas in Illinois in 2019. The Administration has enacted a number of punitive measures regarding deportations and undocumented immigration. However, several changes are also likely to have a negative impact on legal immigration, making it more difficult for people to immigrate lawfully to the U.S. Here are some of the impacts that can be anticipated in 2019. Kirstjen Nielsen, the Secretary of the Department of Homeland Security, indicated in testimony before Congress on Dec. 20, 2018, that the Trump Administration would continue to view highly-skilled H-1B visa holders and their employers with suspicion in 2019. There has been an increase in denials of H-1B visa applications and an increase in the amount of time that it takes to process applications, leaving many workers to fear trying to change jobs. Some workers who apply for H-1B visas based on their new jobs may run out of time before their applications are processed, meaning that their H-1B visas could expire before they receive decisions. Part of the reason for the increased processing time is that the USCIS director, Frank Cissna, announced in 2017 that adjudicators are no longer supposed to defer to previous determinations. There are also proposed regulations that would limit who qualifies for specialty occupations and how the employer-employee relationship is defined. Another regulation would require pre-registration of potential H-1B visa applications and selection through a lottery. Some changes could impact people who apply for family-based immigration visas as well as other types of visas. 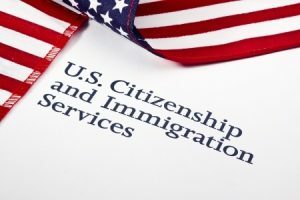 One change is that the USCIS has implemented a policy that adjudicators no longer have to send requests for evidence or notices of intent to deny before denying applications. Previously, adjudicators would send these notices to applicants whose applications were incomplete or contained errors. Applicants and their attorneys would then be given time to supplement the applications with evidence supporting the basis for them. Adjudicators can now simply deny applications without giving applicants the ability to correct or to supplement them. This means that making mistakes on an application could result in a denial followed by deportation and removal proceedings. Legal immigration will likely continue to face obstacles. It is important for employers and applicants to take care with their applications so that they can increase their chances of approval.